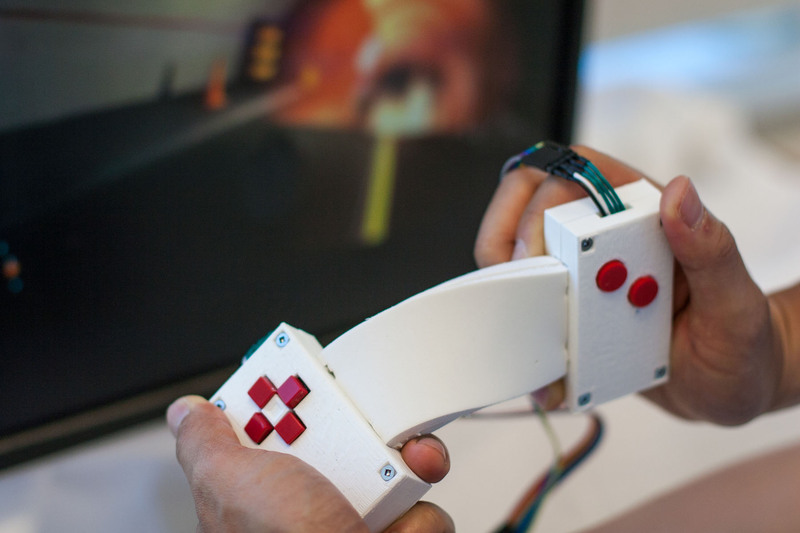 Bendtroller is a deformable game controller that allows players to bend and twist it to control in-game actions such as jumping or rotating puzzle pieces. The device is composed of two rigid sides with buttons connected by a flexible bridge, which contains bend sensors to detect its deformation. The game-playing experience is enhanced by mapping button input to navigation events and deformation gestures to in-game actions (jumping, rotating, punching). We found that deformation gestures are best mapped to simple, natural tasks. A flexible bridge adds a new dimension of control to the game-playing experience.